Free Shipping Included! Micro 100 QIT-1801000 Quick Change Internal Single Point Threading Tool, Solid Carbide Tool, 0.180'' (4.57 mm) Minimum Bore Diameter, 0.040'' (1.02 mm) Projection, 1.000'' (25.4 mm) Maximum Bore Depth, 0.023'' (0.58 mm) Offset Point, 18 to 56 Threads per Inch by Micro 100 at Hosted Payload. MPN: QIT-1801000. Hurry! Limited time offer. Offer valid only while supplies last. The MICRO 100 QIT-1801000 uncoated, solid carbide, single point internal threading tool for utilization in the Micro-Quik Change Tooling System . 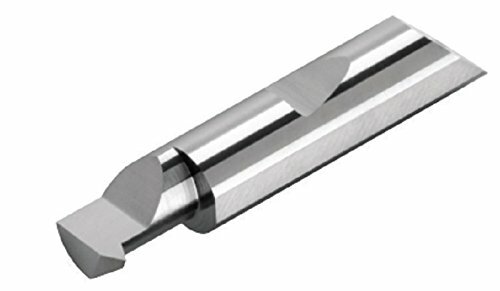 The MICRO 100 QIT-1801000 uncoated, solid carbide, single point internal threading tool for utilization in the Micro-Quik Change Tooling System . Designed and engineered with a single point that produces a thread on a cone or cylinder. Widely used in CNC lathes and engine type lathes because the single point process tracks the spindle and tool position. Ideal for small diameter I.D. threading. Manufactured with close tolerances to ensure ultimate precision and performance. Each tool's cutting edge/tip has a distinctive mirror like finish that significantly adds to material removal while improving surface finishes. The Micro-Quik Tooling System provides maximum centerline repeatability within plus or minus 0.0005" from tool to tool. When all of the components are used together, this unique system reduces machine setup, downtime, tooling costs, and tooling inventories all while boosting productivity. MICRO 100 Solid Carbide Tools feature more than just a micro-grain of excellent quality. Their substrate is in a class of its own resulting from exclusive treating processes that allow for vastly increased speed and feed rates. For over 45 years, MICRO 100 is a known industry leader and internationally acclaimed when it comes to solid carbide tooling.